The team at Affordable Pet Care Basse has a long history in the community of San Antonio. Our animal hospital Affordable Pet Care Basse was founded by Dr. Dean Fankhauser in 1987. His brother Dr. Jay Fankhauser founded Affordable Pet Care NW, our animal hospital in San Antonio, at the same time. We purchased Affordable Pet Care NW in 2001 and in 2014 purchased Affordable Pet Care Basse. We have been carrying on their legacy ever since! Affordable Pet Care Basse is currently undergoing a transformation. We are expanding to offer a number of excellent veterinary services, including complete surgical services, internal medicine, pet dental care and advanced diagnostics, all in addition to the general pet health care services you have come to expect from our animal hospital. We are striving to create a one-stop veterinary service practice for you, all for the same affordable prices. The veterinary team at our animal hospital is committed to veterinary excellence. We love animals, and it shows in our care. 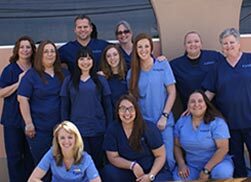 We would love for you to check out our veterinarians and our team bio pages to learn more about the dedicated team that provides care to your beloved companion.